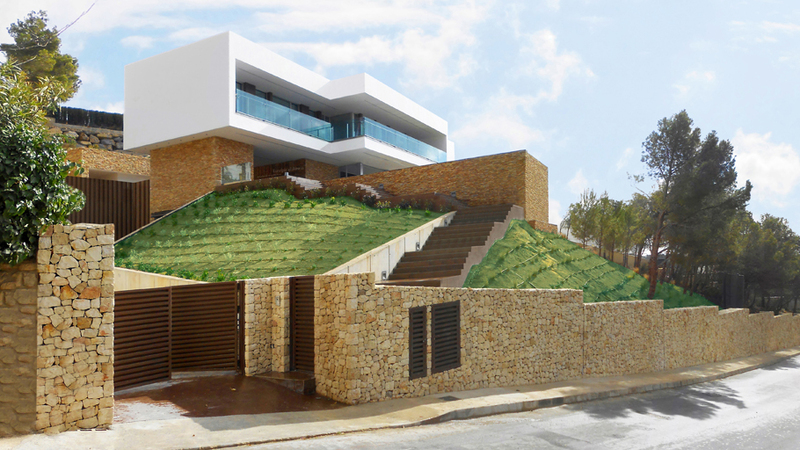 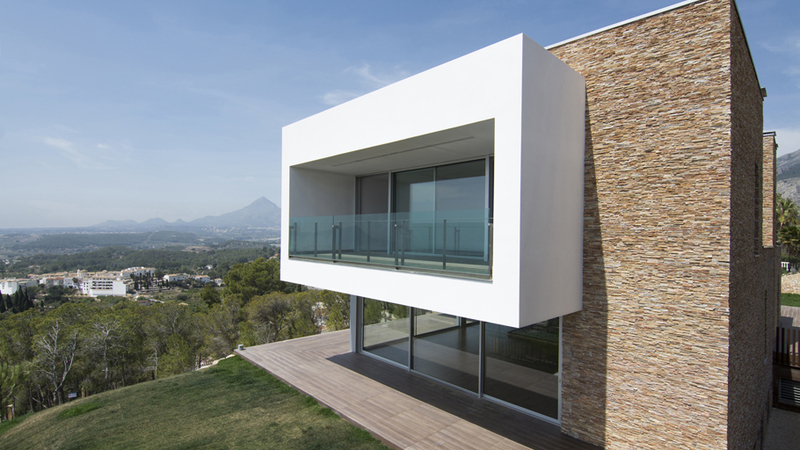 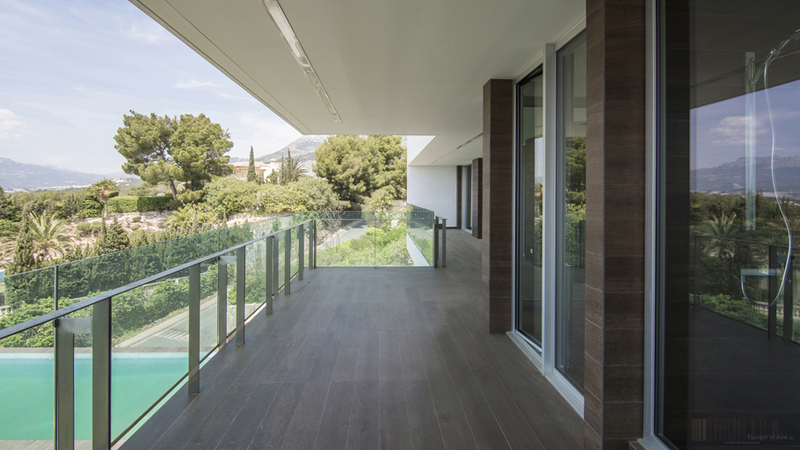 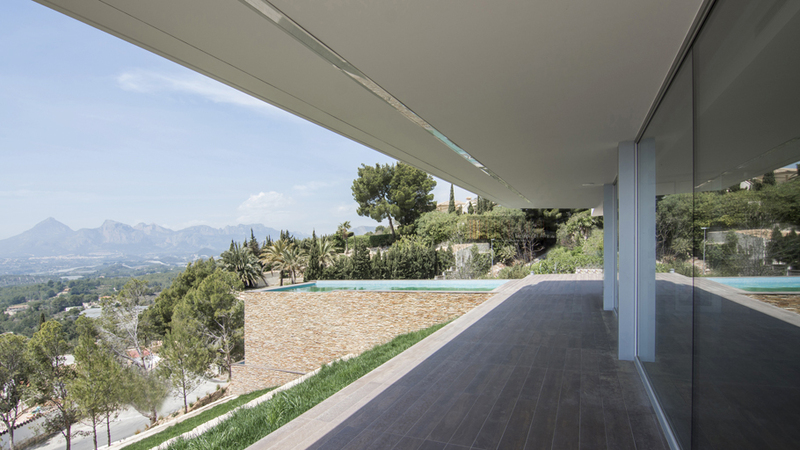 The "Casa con una montaña" in Altea (Alicante), is a project that lets the possibilities of imagination applied to interior design and architecture flow. 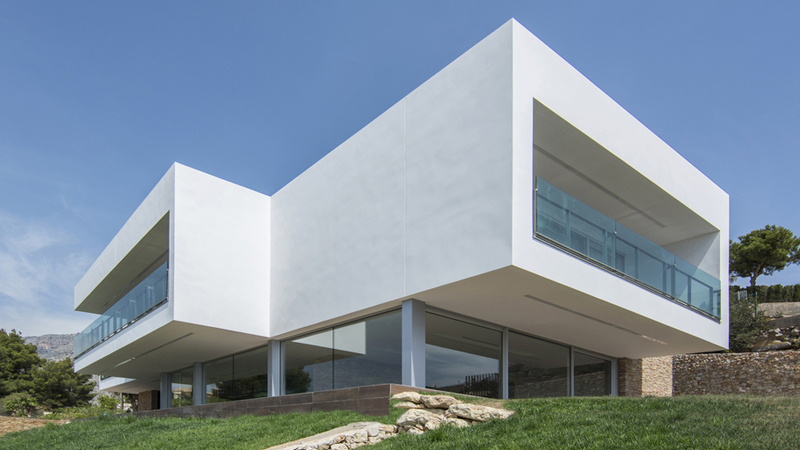 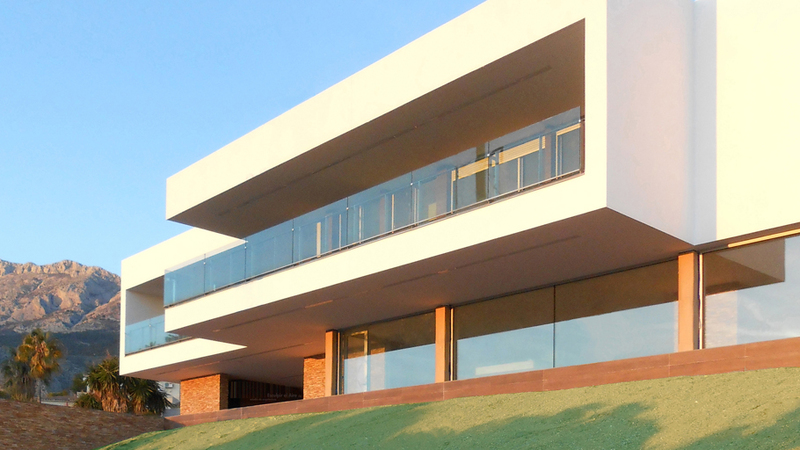 In this creative flight, the architectural studio of Esculpir el aire, headed up by José Ángel Ruiz Cáceres has been able to integrate the most minimalist architecture in its natural environment, thanks to the masterful use of natural materials from PORCELANOSA Grupo. 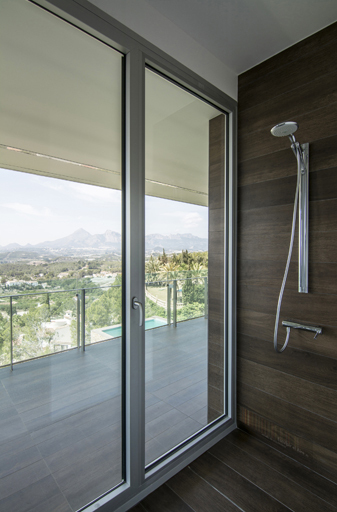 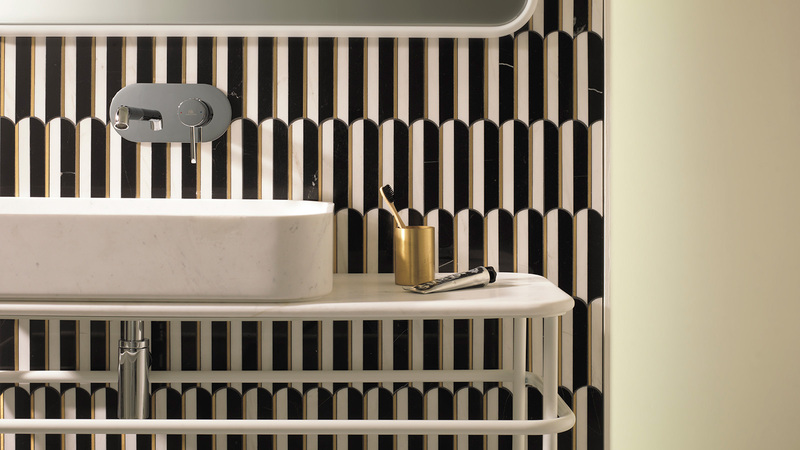 L'Antic Colonial are responsible for the most natural and exclusive products that give life to this project. 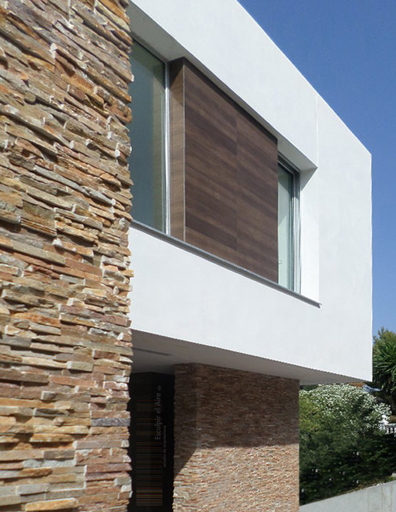 The mosaics of natural stone, slate to be precise, Brick Lhasa is the material chosen for coating the walls of the house and one of the inside walls as well.